​Please support the arts and our production of new theater! 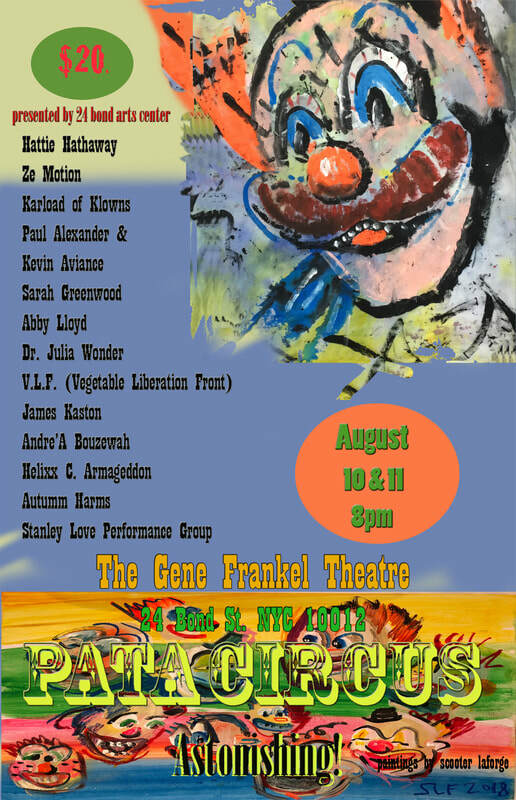 To donate to The Gene Frankel Theatre please click on the button above this text. You can also donate by sending in a check. Broadway theaters in New York: the Gene Frankel Theater and Film Workshop. Gene Frankel worked with and cultivated talents like Stacey Keach, Lorraine Hansberry, Cicely Tyson. With Jean Genet, he adapted, produced and directed The Blacks, starring James Earl Jones in 1961, and running for a record breaking 1,408 performances. As we approach 2017, we are proud to say Gene Frankel Theater and has continued serving our community for 68 years and with dozens of artists into a new generation. With your support, we can keep this rich legacy alive. We are working on new productions at the theater and offering classes on Gene Frankel’s acting technique by M*A*S*H’s very own Loretta Swit, who studied under his tutelage for many years. With your contribution you will be participating in presenting the most exciting mix of classes and theatre, and create events for both children and adults; providing community interaction as well as a spiritual home. Playwrights, puppeteers, technicians, and audiences can find a living theater space at 24 Bond Street in The Gene Frankel Theatre. Our immediate goal is to raise $50,000 to foster these programs and take care of immediate infrastructure needs (central air conditioning, new dimmers, etc.) in our 74-seat ground floor theatre home. Our fledgling 501c3, 24 Bond Arts Center in the Gene Frankel Theater can use you help. We have been doing our part in keeping the arts alive in New York City. Will you become part of our “us” in our mission of sharing our theatre with the community?